Ms. Dawson said in a recent VI Health Highlight podcast interview that March 21 is World Down Syndrome Day while March 25 is Cerebral Palsy Awareness Day. She said the awareness effort creates more opportunities such as employment, education and inclusion in the social activities as well as sensitises the wider public on the conditions. 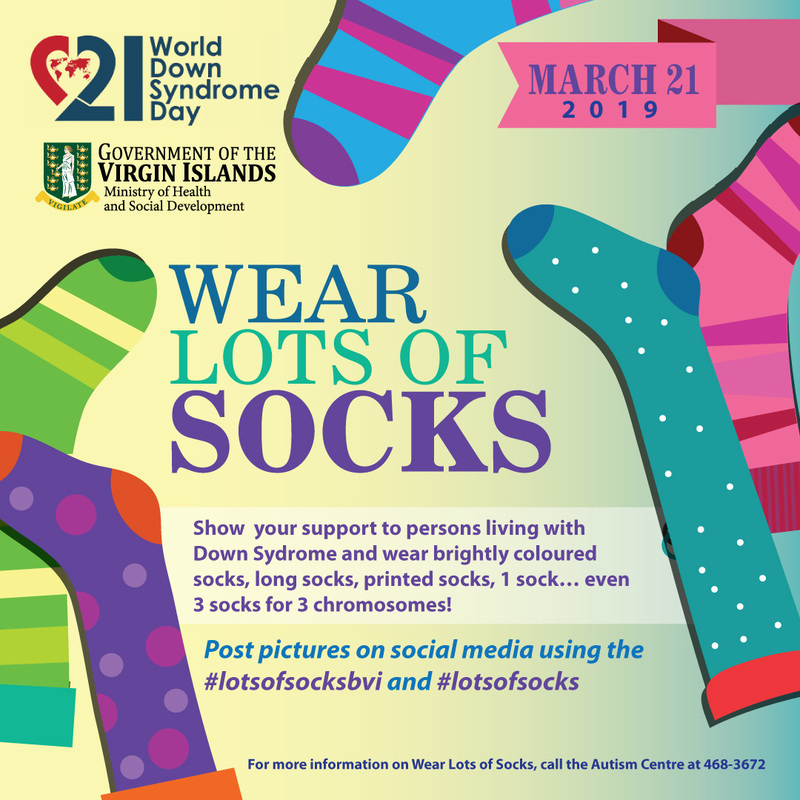 Persons are encouraged to be creative in wearing socks on March 21 in observance of World Down Syndrome Awareness Day. Ms. Dawson explained that the idea of wearing the socks is a conversation piece that brings awareness to Down Syndrome and can also advocate for more services and policies in place to improve the lives of persons with the condition. Down Syndrome is a genetic condition where a person is born with an extra copy of chromosome 21. This condition leads to mild or severe impairment and physical abnormalities including short stature and a broad facial profile. 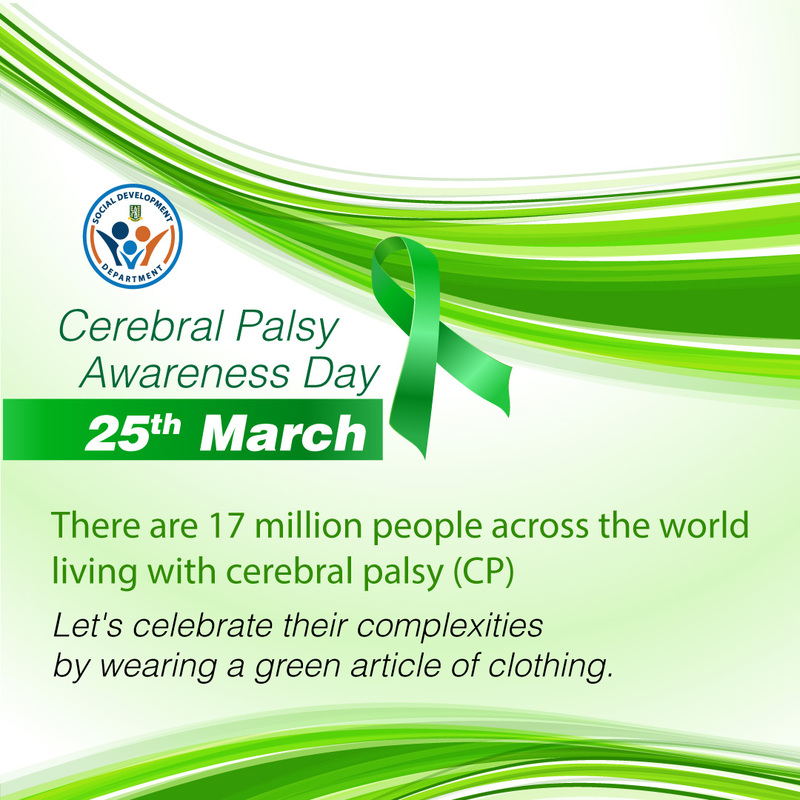 The public is also invited to wear an article of green clothing on March 25 in support of Cerebral Palsy Awareness Day. Cerebral Palsy (CP) is a condition marked by impaired muscle coordination (spastic paralysis) and other disabilities, typically caused by damage to the brain before or after birth. For more information on the Disabilities Division within the Social Development Department, persons can telephone 468-3672.